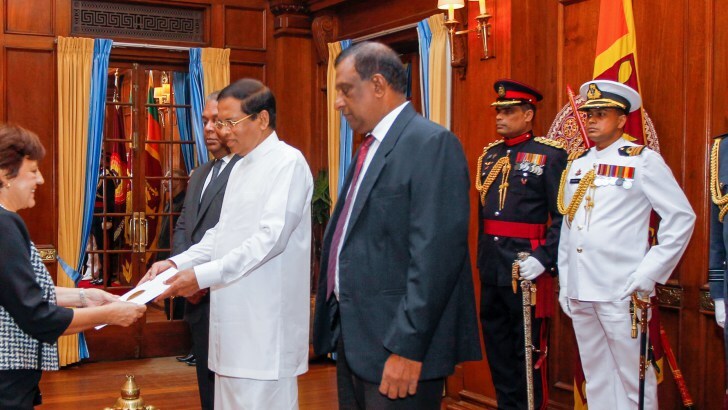 The newly appointed Ambassadress of the Embassy of the Republic of Cuba in Sri Lanka Ms. Juana Elena Ramos Rodriguez presented credentials to President Maithripala Sirisena at the Presidential Secretariat today (1st). Sri Lanka and Cuba established diplomatic relations in 1959. 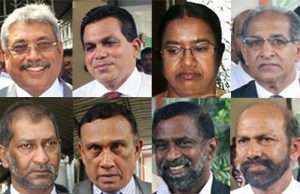 One of the bail conditions for the 7 accused including former Defense Secretary Gotabhaya Rajapaksa in the case filed by the Commission to Investigate Allegations of Bribery of Corruption for inflicting a loss of Rs.11.4 billion by maintaining a floating armoury in Galle Harbour has been relaxed. The condition that has been released is the travel ban imposed on the 7 accused. However, anyone going abroad will have to inform the Registrar of the Colombo Chief Magistrates Court and the Commission to Investigate Allegations of Bribery of Corruption ordered Colombo Chief Magistrate Gihan Pilapitiya. The trial was fixed for 13th February. Former Additional Secretary of the Defense Ministry Damayanthy Jayaratne, who is an accused in the case, has not been arrested. She has gone abroad violating rules and regulations for state employees and has avoided the hearing. The budget for 2017 of the Uva Provincial Council was passed with a majority of 28 today (1st). 30 Members of the UNP and the SLFP voted for the proposals while the 2 JVP Members voted against. Two days ago the Chief Minister Chamara Sampath Dassanayaka distributed air tickets to about 20 Members of the UNP and the SLFP to go on an Italian tour. It is reported that the Minister of Labour has interfered to deny the November salary of Labour Officers in the Department of Labour who are engaged in a trade union action regarding their grievances. The Minister has given a wrong example to employers by denying the salaries of Labour Officers whose responsibility is to protect rights of employees point out trade unions. Former Deputy Minister of Highways and Road Development Mervyn Silva was ordered by the Supreme Court to pay Rs.400,000 personally as compensation for demolishing and destructing a parapet wall, two toilets and a wash room in Kiribathgoda during Mahinda Rajapaksa regime. Asitha Nanayakkara Liyanage had filed a complaint against the Chairman Prasanna Ranaweera and Secretary Hemapala Hettiarachchi of the Kelaniya Pradeshiya Sabha, the Commissioner of Local Government in Gampaha, the then Chief Inspector of Police, Kiribathgoda, Mervyn Silva, the Attorney General and two others for harassment and abuse against him and his family and demolishing and destructing the parapet wall, two toilets and wash room which were part of the house belonged to him in which he and his family resided. The petition was heard before Justices Anil Gooneratne, Eva Wanasundera and K. T. Chitrasiri. The Supreme Court also ordered the then Chief Inspector of Police of Kiribathgoda and the State to pay Rs.50,000 and Rs.100,000 respectively to the Petitioner as compensation and directed the Inspector General of Police to conduct investigations to find out whether any other persons were responsible for the destruction and whether instruments and machinery belonging to the State had been used to cause the destruction, and to take appropriate action after consulting the Attorney General.